For the same price as a lofty Latte or Frappuccino, you get access to relaxation as often as you like for a whole month! – It’s affordable no froth, no syrup, just simply guided relaxation, created to naturally work wonders, relaxing with Mind Hero is wonderful. Relax Anytime, Do it Anywhere When we say anywhere, the more peaceful and comfortable the better. But that can include sitting on a train, in an airport lounge, taking off on a journey, in the car park, office or propped up at home in bed.….Just Relax! It’s all about providing you with a pro-creative relaxation experience. You get to choose; the “Sound”, whether that’s nature, spa type music, the steady beat of a metronome, or your personal favorites you can import – it’s your call! Likewise, with the “Voice”, topics in our drop down menu vary according to the time of day, your mood or common requirements. 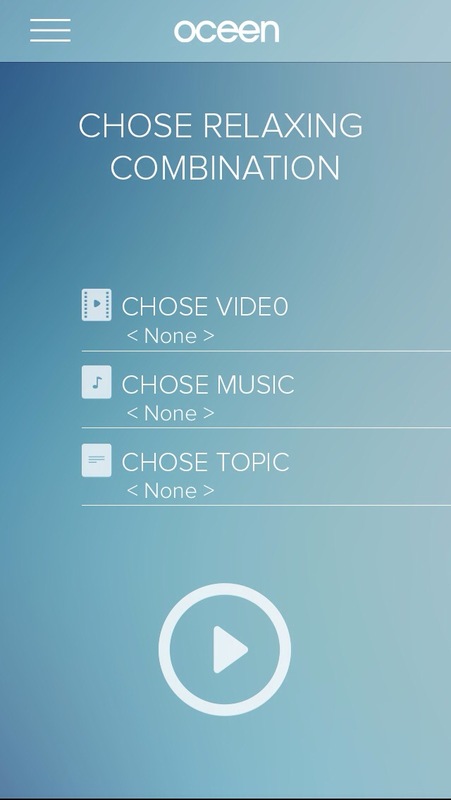 Just click and mix, to build a customized relaxation, and save favorites to get your relax on fast. We send reminders to keep you on schedule, to monitor and to reward you with your results. You get to track your progress and watch your aura grow with the inbuilt “aura strength’ monitor and you get to count your Zen moments…all very inspirational, verging on enlightening stuff! What makes Mind Hero stand out from the crowd of mindfulness apps? – It’s utter simplicity, not just the app build itself, but the approach to meditation, we call it relaxation, as we believe it should be, well….relaxing ☺ so the process we use works without any involvement. It’s so natural like taking a shower or lying in the sunshine; that babies or even pets, everyone and anyone do it and can get results!! 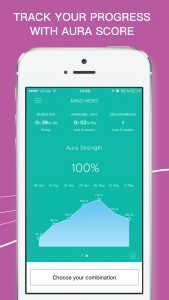 Mind Hero created by a small team, dedicated to helping people relax deeper and better than ever before. It’s not part of a big business, (not to say we don’t like corporates of course) but the goal is to provide what was originally designed as a live product as a digital offer, keeping the same quality service we afford all our clients. Other offerings may be more established in the app world, have huge followings be cooler or calmer ☺. We are the small start-up with a big heart and understand that more than ever, the need to relax must be met and we bet there are plenty of people who want a fast, simple way with proven results. The app itself is new but the method has been tried, tested and trusted over 30 years. The instructors are professionals, life consultants with deep knowledge of natural health and experience in energy training. Your head is in good hands. If you want to talk about a specific problem and how our app can help you, please contact us here.